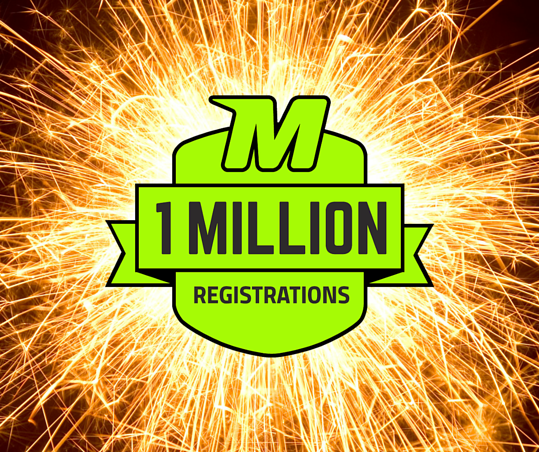 MotorsportReg announced today that motorsport clubs, race tracks and sanctioning bodies across North America have registered over 1 million participants using the event registration service. This milestone demonstrates the strength of the amateur motorsport market and the adoption of technology made for enthusiasts by enthusiasts. "I love motorsport and I want it to be sustainable,” said Founder Brian Ghidinelli, "That means it has to be easy to get involved and I'm incredibly proud that we've played a role in that one million times. We've experienced tremendous growth in the number of organizations managing events on MotorsportReg and we're already flat out towards the second million." More than 1.1 million people searched MotorsportReg in 2014 making it the world's largest motorsport event marketplace connecting enthusiasts with available events. “When we were having trouble filling one of our events, we used MotorsportReg’s promotional tools and increased attendance by 25% in the final five days before our event,” explains David Connelly of Northeast Track Days, "All of those participants were new to our organization and many have already signed up for additional events this season." About MotorsportReg.com: MotorsportReg.com is the best place to organize, find and attend events. Highly customizable event management software provides organizers with motorsport-specific tools to automate tasks, improve accuracy and increase participation backed by world-class support. MotorsportReg.com is used by clubs, race tracks and sanctioning bodies including Circuit of the Americas, Sports Car Club of America (SCCA), Tire Rack® Street Survival and BMW Car Club of America (BMW CCA). We're updating all of our social media artwork to coincide with this announcement. Big thanks to Curt Smith from PCA Northwest Region for allowing us to use his beautiful images. Check them out on Facebook, Twitter and LinkedIn.